How long has chess been around? How do the chess pieces move? Do you enjoy board games? From Monopoly to checkers, board games can be an interesting and challenging way to have fun with friends and family members. One of the oldest and most challenging games of strategy has to be chess. 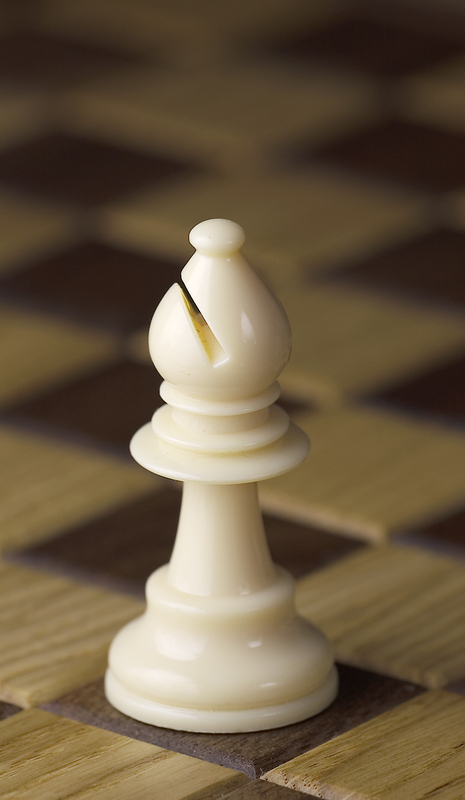 The game of chess we know today has been around for over 500 years. Although no one knows for sure how the game came about, many people believe it developed from other chess-like games played in India about 2,000 years ago. In a game of chess, you and your opponent each command an army of 16 pieces: 8 pawns, two rooks, two knights, two bishops, a queen and a king. Your goal is to trap your opponent's king before he or she traps yours. When you reach a point where you have your opponent's king trapped and he cannot escape, you have achieved checkmate and won the game! Every chess game starts out with the pieces placed in the same positions on the chess board. One player plays with white or light-colored pieces, and the other player plays with black or dark-colored pieces. White moves first and then play alternates until one player achieves checkmate or the game ends in a tie (stalemate or draw). Players may not skip their move at any time. To make a move, you must choose one of your pieces on the board and move it from its current position to another square, according to the rules of movement. The square a piece is moved to can either be empty or occupied by another player's piece. If the square contains an opponent's piece, you capture that piece by removing it from the board. It takes many people a while to learn how to play chess. Not only does the game involve a lot of thinking ahead and strategy, but each type of chess piece moves in a different way. Remembering how each of the pieces moves can be difficult at first. 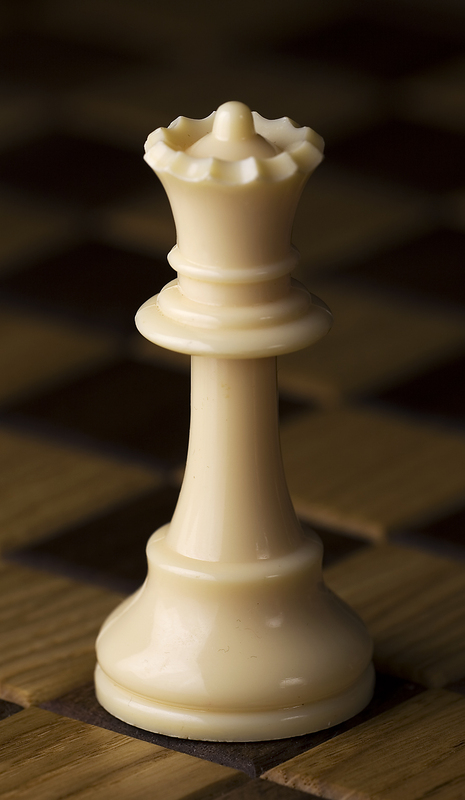 Pawns are special because they have two types of moves. A pawn can either move to an empty square directly in front of it, or it can capture a piece diagonally to the right or left. In addition, a pawn may also move two squares straight ahead on its first move. Rooks move straight forward, backward or sideways (but not diagonally). They cannot jump over other pieces, but they can move as far as they want in any straight line. Knights move by jumping two squares forward, backward or sideways, and then turning and jumping one more square. The knight's move forms an “L" shape. Knights are special because they're the only pieces that can jump over other pieces. Bishops also move in straight lines, but not forwards, backwards or sideways — only diagonally! Like rooks, bishops can move as far as they want in any direction, but they cannot jump over other pieces. The queen can move in a straight line as far as she wants in any direction. She cannot, however, jump over other pieces. The king can move one square in any direction. He cannot, however, move to a square where he could be captured by an opponent's piece. When you make a move that puts your opponent's king in danger of being captured, you say “check." Your opponent then must make a move to protect his or her king. There are three ways you can protect a king: move him out of the way, block the check with another piece or capture the piece attacking the king. If one of these protective moves can't be made, then you win the game and say, “Checkmate!" Chess has a few other special rules you'll have to learn if you want to become a chess player, such as castling, en passant and promotion. You can learn these more difficult rules as you play, though. For now, just concentrate on learning the basic movements of the pieces. Ready to play chess? If you have a friend or family member that knows how to play, ask them to teach you the rules and play a few games with them. How long does it take you to get the hang of the game? Stick with it. Chess is a complex game that can take a few tries to learn. Have fun! If you can't find anyone to play with, you can always use an online chess tutorial to learn the rules and then play games of chess online! Can you beat the computer? Good luck! Want to learn more about the first American grand master of chess? Visit the Biography site online to read about Bobby Fischer. Write down at least five interesting facts that you learn, and share them with a friend or family member. That's awesome, soccerboy08! Thanks for sharing your connection to this Wonder! I love this! Can you make one on Monopoly over the years? Thanks! I love chess. I have a game that has chess,checkers,and chinese checkers. I can play chess on the computer also. You are a real board game master :) Thanks so much for sharing with us today! Will you be able to make a wonder about why you made this website? I LOVE CHESSS!!!!! I think tomorrow it will be about the south pole. Maybe Antartica (shivers). My class loved the video...what a smart little girl. I've Never played chess before. Mainly because nobody has taught me. I guess now I can play with my Grandpa sometime...I think tommorow's WONDER should be about the making of gum! :) <3. Seairra . Thanks for another great wonder. It was cool in the video how the man knocked over the girl's chess piece. What is the clock for? It was funny how the girl said "it's your turn" each time she was finished with her move. It sounded very confusing as to how each chess piece could move. How does anyone remember how the pieces should move? This is Jack from Mrs. Bradsis' 7th bell. I think the next wonder will be Antartica. I already knew this because I love chess. I have never played chess, but I have played checkers, is it similar? Also, I Wonder what tomorrow's Wonder is? A lot of our students know how to play chess! We couldn't believe how young the girl was who was playing chess in the video! Our school has a chess tournament going on this week. Several students from our third grade class are involved in it. We think tomorrow you will be in Antarctica! What wonderful memories. One of our elementary teachers @ Oscar Hinger-Rex Reeves, Betsey Huntington, her mom, Mary, her sister, Nancy & her brother Jerry would volunteer each week to not only help the kids to read but also taught them Chess. The kids loved it. This is something that they will carry with them for the rest of their lives. You never know when you touch a life. I think you are going to go to north pole tomorrow. Okay, sorry, maybe I am not the first to comment. But I went back to the "Do You Believe In UFOs" and read it again. Also, thank you for sending me that link about "What is Gibberish." But anyway like I said, I will get on this website and comment if I have the chance and I am super sorry for commenting twice a day but I just can't help it. It's just you guys rule. Okay to the topic. I think that chess was invented by Greek gods and goddesses. Or, no I think it was the sages. Oh, sorry got to go. Wow! The video was so awesome. What a 3-4 yr old playing chess? That is pretty cool. I also play chess myself and I am not very good. So this might be your first comment today maybe so I am going to make it good. I love how you tell us what the pieces do and how they move. I can't believe chess has been lively all these centuries. WONDER of the days are cool, but it is too bad that I can't comment every day. Well, I haven't read any of your latest posts so I think I am going to do that. So, bye. I think tomorrow's wonder of the day is about Antartica down south. I enjoyed today's wonder of the day. I've never played chess, but since I've read this, I think I will play. We thought today's story was great! It really makes us want to learn how to play chess and try it out! It's surprising that such a little girl can play chess that good. We think that maybe you will be going to Alaska tomorrow. We'll have to wait and see! Great wonder. I have been wanting to play chess. This was not my favorite, but it was ok. Maybe you can do one on a tractors. We loved learning all about Chess today! The video was great - we can't believe a little girl that young can play chess! We can't wait to read tomorrow's wonder. We're guessing that you are visiting Antarctica! Brrrrrr! I knew that today's was about chess because my dad had taught me all of the moves and pieces. I also think that tomorrow's will be about the south pole. Which chess piece moves in an “L” shape? What do you say when you make a move that puts your opponent’s king in danger of being captured? The game of chess we know today has been around for over how many years?